As you already know, dialysis is a procedure that is undertaken to help cleanse the system of people who have experienced kidney failure. There are a large number of people out there who need dialysis so that their bodies can function without facing a single glitch. Sometimes when people are unaware that they need the procedure; they land in the emergency room after experiencing kidney failure. Under these circumstances, a catheter is placed under the area of a patient’s collarbone and they are put on hemodialysis. Hemodialysis is a way of cleaning the blood in a person’s body. This can be done in the hospital in the emergency room. However, once the patient is better and the situation is a little under control, they are advised to get dialysis done frequently. There are various types of dialysis procedures and their administration on a patient depends on what the patient needs, what kind of problem he or she is suffering from, and how often he or she needs to be administered with this treatment. These factors, in addition to the fact that the procedure should be convenient enough for the patient, help to decide what kind of dialysis procedure the patient should choose. Some types of dialysis procedures are outlined below. It is not always necessary to go to a hospital or a dialysis center to administer this treatment. Some people also get the procedure done at home. This is also fairly easy to manage. The “at home dialysis” procedure makes it more convenient for the patient to get the procedure done, as they do not have to drive to a special center or sit in an uncomfortable place while they get the procedure done. They can carry on with their daily lives and still get the procedure done at the same time. 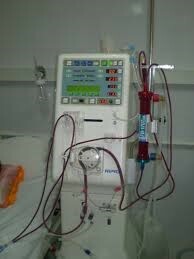 For this kind of dialysis, you do not have to schedule any appointments. You can shift the schedule according to your own requirements and convenience; it all depends on what you want and when you want it done. The procedure becomes flexible and convenient. This is a good option for people who have jobs, school, or other such daily appointments. For people who have busy or unpredictable schedules or for people who wish to have a little freedom and wish to control how and when they spend their time, this is obviously the easiest and most convenient option. As the name clearly suggests, some patients have to go to or simply prefer to go to a center to get their dialysis treatment done. In this case, they need to schedule an appointment with the center at least three times in a week. Each treatment takes about four hours every time, which is why patience is one thing the patient must always adopt. The basic thing to keep in mind is that patients must always be on time for the appointment as it can inconvenience the dialysis center if someone is late. If you are receiving dialysis treatment at a center, you need to be careful when you make travel arrangements. Firstly, you will have to inform your regular dialysis center at home that you will be going away for a week or so. Then, you will have to arrange similar appointments with a dialysis center in the area you are visiting, so that you remain healthy during your visit there. You have to plan the whole thing out so that you do not miss an important dialysis appointment. Sometimes they let you take portable (but bulky and huge) dialysis machines with you on your travels so that you do not face any kind of inconvenience. As mentioned before, hemodialysis is a procedure that cleans the blood inside your body. This kind of procedure is helpful in removing the blood from your body and processing it through an artificial external kidney machine. This is for people who do not have functioning kidneys in their bodies. The blood is processed through the machine and returned back to the body in a clean form. Peritoneal dialysis (PD) is a different form of dialysis. It does not extract blood from the body; rather, it extracts wastes and other harmful fluids from inside the body while the blood stays inside the body as normal. The dialysis solution called dialysate is injected into the peritoneal cavity of the body and then membrane around the peritoneal cavity acts as a filter inside the body. This is done making use of a PD catheter. The wastes are drained out of the body through this PD catheter. This is a flexible tube that is injected into the abdomen to remove wastes and excess fluids from the body.